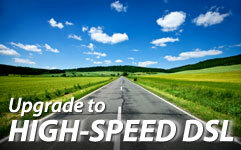 We provide consumers with a comprehensive suite of local, long distance and Internet services. We have complete voice, data, and Internet solutions for small and large businesses. We are committed to offering superior customer care.